Test the understanding and application of a range of basic book-keeping techniques, including basic accounting terms, double-entry book-keeping, preparation of simple trading and profit and loss accounts, simple stock accounts and balance sheets. Requires you to record opening and closing balances, prepare day books and three column cash books, make simple adjustments for prepayments and accruals, record depreciation, apply understanding of stock taking and valuation, record drawings in kind or in cash, prepare trading, profit and loss accounts and a balance sheet. This level covers accounting activities in the context of sole traders and partnerships, limited liability companies, non-trading organizations and other specialist areas. For more than 100 years, LCCI International Qualifications have been widely recognised for its standard of excellence, valued and trusted by employers worldwide. LCCI International Qualifications are awarded by Education Development International PLC (EDI), a leading international awarding body in UK. Students from about 80 countries use LCCI qualifications to support their applications for jobs, entry into higher education and membership of professional bodies. UBS certificate course is a practical skill training course, our training are designed for students to get some hands on experience in using Sage UBS software. Our training center is actually playing a role to demonstrate the way to work out the chapters and lessons adequately in a step by step manner. Students who undergo the training will be able to handle entries that simulate a real working environment, thus helping prepare them to handle daily transactions in their future working environment. Students will be awarded graded Sage UBS certificates in recognition of their achievement based on their examination results. This IT course is suitable for anybody who uses IT and the flexible structure means that it can be adapted for almost any workplace or job or intended career. Evidence can be collected from naturally occurring IT activities that are undertaken for a specific and real purpose. International ESOL English qualifications are intended for candidates who are not native speakers of English and who wish to achieve a high quality, internationally recognised qualification in English that is available and recognised world-wide. The International ESOL English (Junior English Tests and Senior English Tests) ESOL International Qualifications are skills based English language qualifications that have been designed to develop and assess a candidate's ability to communicate in English. Certificate in English for Business helps candidates to develop their reading, writing, listening and speaking business English language skills. It is intended for people who have achieved a sound understanding of English in a business context and who are able to communicate in a familiar business situation effectively. Further progress can be made up to Level 4 of this qualification. 6. Online professional development anytime, anywhere. Please find attached for flyer and brochure in Download Page. 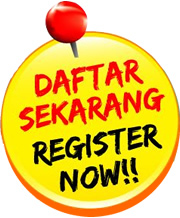 Register yourself by 31st October 2015. We will be hosting a briefing session for registered learners in November 2015. 7. LCCI-SPM Double certification closing date and the Level 2 Computerised Bookkeeping Contest. Announcements from LCCI for the learners, regarding the LCCI-SPM Double certification closing date and the Level 2 Computerised Bookkeeping Contest.